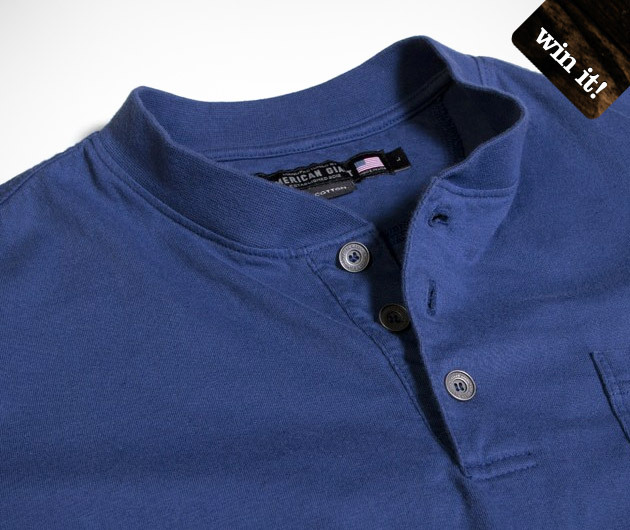 A great alternative to crew neck or v-neck, American Giant's Henley adds some contrast to your standard casual look. These pre-shrunk henleys feature an unmistakable henley collar, a full-size front chest pocket, three metal buttons and a rugged double needle straddle-stitch construction. The henley's 100% combed cotton keeps you keeps you comfortable all day. Sadly the weekend cannot come any faster, but to make your week a little better, we are giving away brand spankin' new American Giant Henleys. 1) Comment on this Facebook post, then 2) Like American Giant's Facebook page for a chance to score one. We'll choose five lucky readers this Friday, May 25.